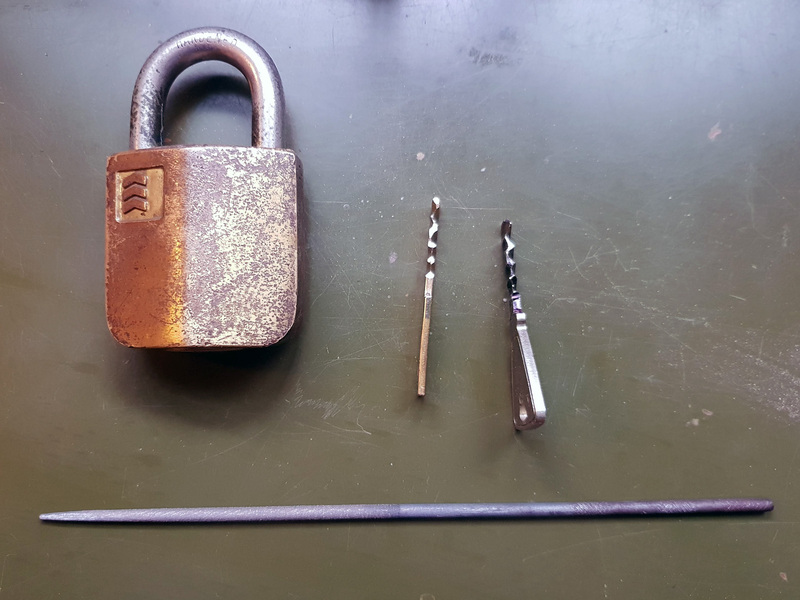 I was sorting some padlocks and found this Sargent Keso I bought from someone here on the forum and was never able to pick it. I brought it to LockCon in 2017 and even there nobody could pick it open. 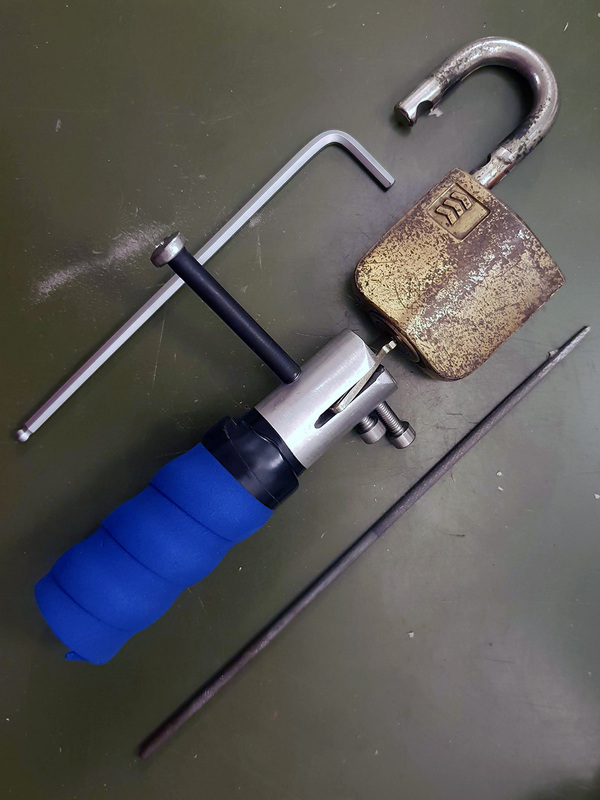 We suspect there may be some broken springs or something wrong with the lock. Oli started to make a key for me. 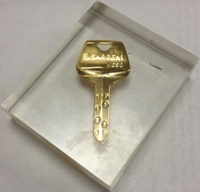 Unfortunately there was not much time and the key remained unfinished. I decided to give it a shot and as you can see, I sorta finished the key. It was not actually working. It required some tries, a lot of wiggle and some force to work. I refined it a bit to make it work smoothly, and obviously it stopped working completely. A couple days later I decided to prepare a brass blank and start from scratch. It took me a lot to get it working, but finally I did it! Making this key was really difficult for me. Sometimes it stopped marking so I had to blacken the key with a sharpie, sand it smooth with super fine grit sandpaper to see where I had to file. At the end the key was almost done because the plug was turning like in a false set, but I couldn't get any mark. I was desperate so I decided to polish the key with a cloth wheel and some polishing compound. I've never heard of this technique but I thought that could be useful to remove every scratch from the key and reveal a mark in an unexpected location. I was right: there was a pin that I thought was a zero cut but was leaving such a subtle mark I hadn't noticed it. This is the most difficult key I've made so far. 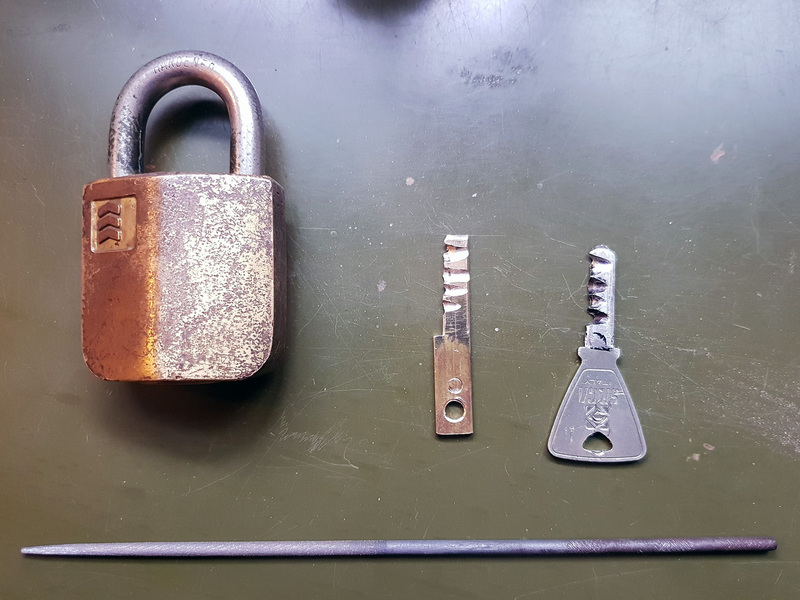 There definitely are a couple pins that aren't working properly, because the key needs some wiggling to operate, but at least it works every time and much better than the previous one. 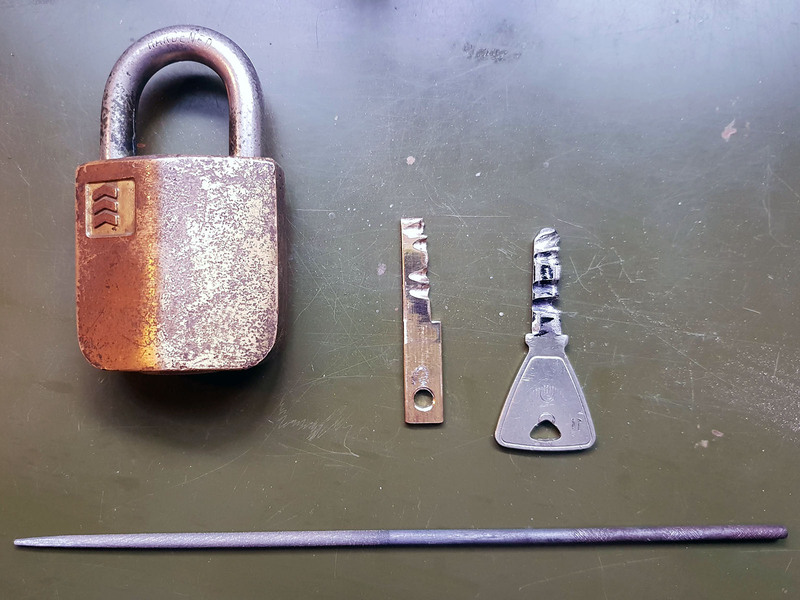 Any way to disassemble this padlock to clean and service it properly? Thanks for the compliment, jharveee! Sorry for the inconvenience, I hope everybody can see them without any issue. pretty sure these padlocks can not be serviced without some type of semi destructive disassembly. Quite an accomplishment there Femurat. at stake by then! I like the trick you pulled out here to finish it off. I see them now. Looks good! Very very cool work femurat. 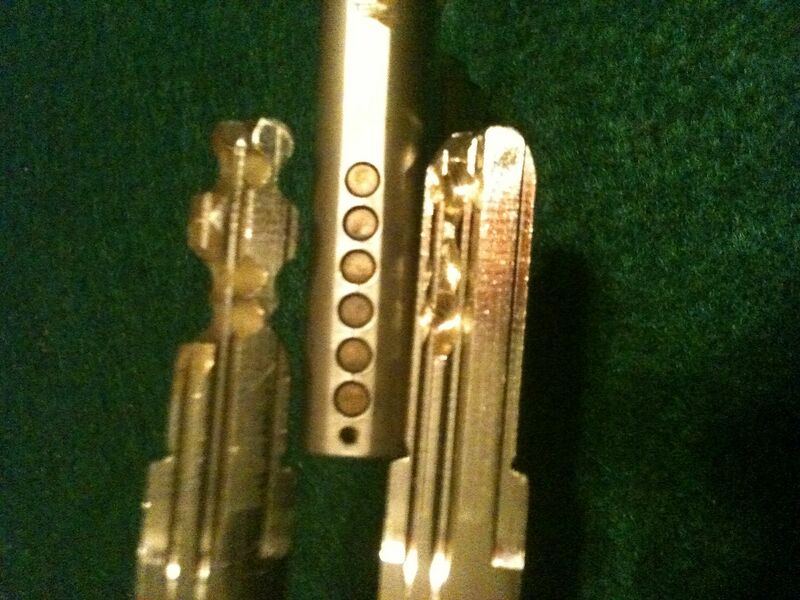 I believe a couple of brass pins would need to be removed from the lock body to disassemble. Great work! Have only impressioned one dimple lock that I remember. It was not easy. 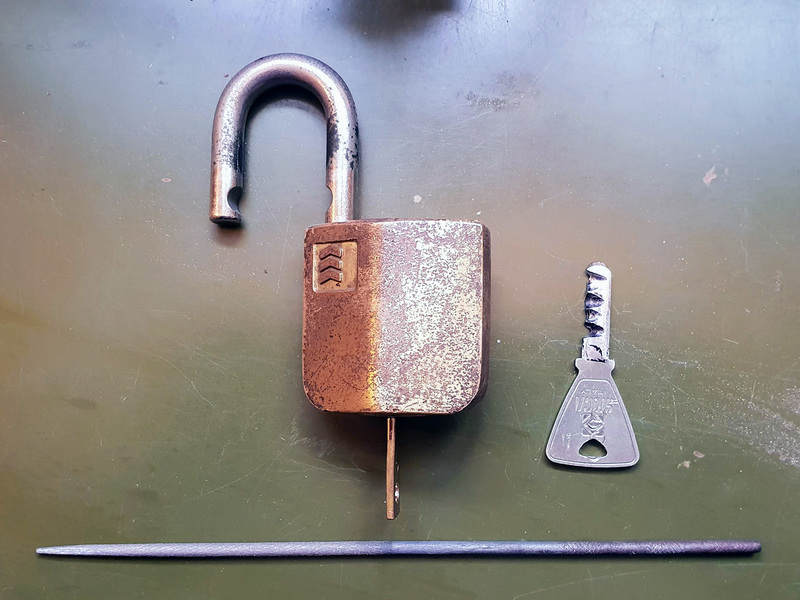 Got the lock from member fgarci03 a while back. 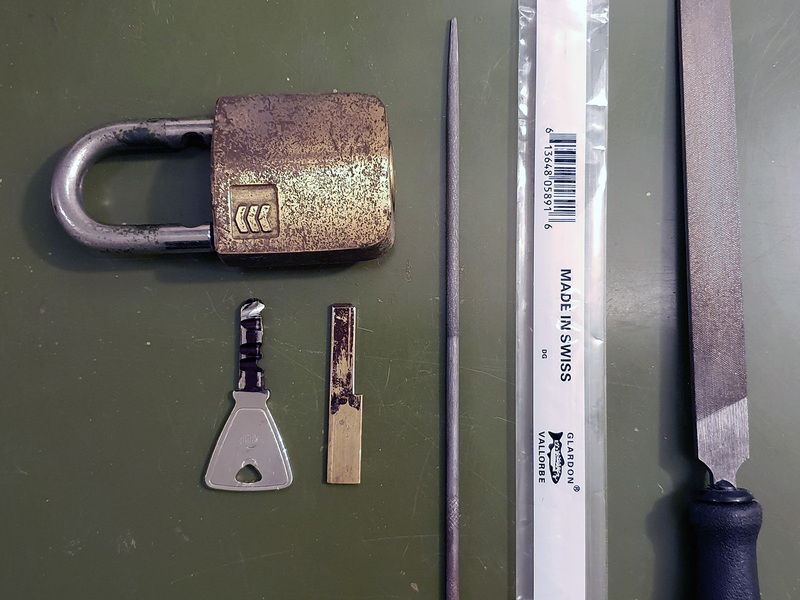 He had impressioned a key for it first, then sent me the lock, his key that he made, and a blank. I teased him a little when I saw his that it looked like it was chewed by a rat. But he did it before I did. My hat is off to you, Femurat!